I rejoice in Tim Keller having to finally address whether or not he is a Marxist. I rejoice because rarely – and I mean rarely – do the Evangelical Intelligentsia respond to anything. They follow the advice of Ligon Duncan, the “woke” president of Reformed Theological Seminary (a major financial recipient of Socialist billionaire and globalist Clinton financier, James Riady), which is to ignore critics at all costs. In fact, in the post defining the Evangelical Intelligentsia back in 2015, I explained that ignoring critics is the modus operandi of the intellectual elite, up and until at which time they can no longer ignore, and then decide to mock and finally, attack. The resounding claims that Keller is indeed a Marxist – as the term is classically defined – is beyond the stage of ignoring. The facts are in, his quotations are thoroughly cited, his worldview has been explored, and the verdict has been delivered. E.S. Williams – an elder at Spurgeon’s famous Metropolitan Tabernacle in London – examined Keller’s Marxism in his book, The New Calvinists. Timothy Kauffman has meticulously detailed Keller’s Marxism at The Trinity Review. I explained his Marxist ideology in my lecture on New Calvinism at the 2017 Judge Not Conference and have written about it many times. Finally, rightful criticism of Keller has wafted to the Ivory Tower and received the attention of Keller himself. More importantly, the alarm bells have been heard in the pew of the Orthodox Presbyterian Church and the Presbyterian Church of America. From top to bottom, the People have been able to discern what we’ve told them all along; Keller is a Marxist and not a subtle one at that. Keller responded recently to accusations of his Marxism in a mocking, dismissive tone (which is how they respond, right before attacking, as outlined above). Keller’s denial of his Marxism is as valid as TD Jakes’ denial of being a Modalist or Rob Bell’s denial of being a Universalist. Those with sinister worldviews or heretical doctrines rarely admit, and often boldly deny it. In the end, Keller’s own words are what expose him. If any additional evidence were needed, his worldview implicitly exposes his Marxism, atop his spoken and written words that explicitly expose his Marxism. However, also as laid out in the aforementioned Evangelical Intelligentsia post in 2015, the Intelligentsia stick together. Keller’s colleague, Carl Trueman, recently spoke up on the White Horse Inn blog to help dismiss the allegations. Although much could be written about the Great Awokening of Michael Horton and the White Horse Inn (as a longtime listener, I’ve been particularly distraught at their slide into Gospel obfuscation), I’ll let that issue rest for another occasion. 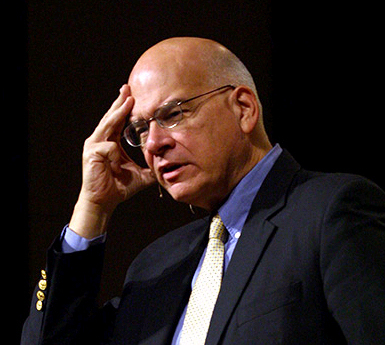 For the purpose of this particular article, I seek to address Trueman’s defense of Tim Keller. First, let me give a few introductory words. I am greatly disappointed in Dr. Trueman. His defense of Keller amounted to a display of almost total ignorance of the subject matter at hand. Trueman’s defense was replete with special pleading. It was irrational, sub-intellectual, dismissing of reality, and intentionally evasive of the direct accusations that have been presented. Trueman’s defense of Keller was an example not of serious Christian thought, but of thoughtlessness. What he wrote does not, in any sense, stand to reason. It was a finger-wagging, virtue-signaling, shame-sending lecture to thoughtful people as a warning not to think. I consider the very essence of Trueman’s article at the White Horse Inn to be personally offensive on the grounds of its sheer arrogance. The article was a lovechild birthed by a carnal pairing of unconquerable ignorance and unconscionable arrogance. Marxism is notoriously hard to define with precision. If there is one group in the world which can match Christians in its ability to fragment indefinitely and anathematize those who claim its label while deviating on fine points of dogma, it is the Marxists. If we take the term in a narrow, historical sense, we could argue that it refers to those who think (1) that economic relationships are fundamentally constitutive of human identities, and (2) that capitalism as a system of economic organization is doomed at some point in the future to collapse under its own contradictions. In a case of cognitive dissonance, Trueman first claims Marxism is hard to define and then defines it succinctly with two sub-points. Marxism doesn’t actually seem that hard to define after all. Trueman’s definition, however, is utter garbage. If he had given this definition in a freshman-level economics course, he would get a failing grade. While Trueman may have some theological credentials, his ignorance of political theory and economics is woefully apparent. (A) Classical, or economic Marxism, is a political and economic philosophy that argues all social ills are the product of class inequality. It proposes that class structures (the poor and the rich, employers and employees, blue collar and white collar, the oppressed and oppressors, etc) be demolished by any means necessary, including revolution. Marxism denies the concept of individual property rights and diminishes the ultimate good of the individual for the sake of the perceived good of the community. (B) Western Civilization, thanks to the Glorious Revolution of Great Britain, the American Revolution, and the French Revolution (all born out of philosophy rooted in Protestant and Reformed theology), has traditionally held that what is best for the individual is what is best for the community as a whole, as seen in its historic defense of Capitalism. Marxism opposes this notion and asserts that community needs are more important than individual liberty and that Communitarianism (that which is good for the whole) is more important than that which is good for the individual. Over the years, many Marxists have accepted the basic idea that capitalism is a stage in history which will pass, but have articulated this in the context of philosophies which have different emphases. Not “many Marxists,” Dr. Trueman. All Marxists. All Marxists believe that Capitalism will crumble upon itself and a utopian future is right around the corner. For Kuyperian Calvinists and post-millennialists, there is certainly a natural appeal of Marxist Utopianism. History, however, thoroughly demonstrates that Marxist economies crumble, while Capitalist societies thrive. From the former Soviet Union to Cuba to North Korea to Venezuela, the history of economies who have implemented Marxism is nothing short of a survey of collapsed nations. Even in Red China, where there is booming economic growth, the growth is only commensurate with their gradual adoption of Capitalist policies. Thus, postcolonial theorists have tended to develop Marx’s thought in relation to patterns of political life connected to imperialism, colonialism and the like. No doubt, that’s true. Marxism is a political revolt against Nationalism. The Nation-State is the great enemy of Marxism because the Nation-State is the greatest bulwark of individual personal liberty. This is why Marxism and Globalism go hand-in-hand. This is why globalist billionaires like George Soros and James Riady are funding the Neo-Cal Marxist movement through donations to Reformed Theological Seminary, Westminster Philadelphia, The Gospel Coalition, and the ERLC. There is often a second part to the accusation: Tim Keller is a cultural Marxist. That is an interesting qualification which typically points to that strand of Marxist theory which sees the Italian thinker, Antonio Gramsci, as its fountainhead. It is true that Rev. Keller has expressed a concern for what now is typically referred to as social justice. Great. Now let’s be intellectually honest and acknowledge that “Social Justice” is a term invented by the Jesuits. But don’t take my word for it, instead read it right here on The Gospel Coalition blog. It’s not like Keller critics are making that up. It’s theology belonging to the Roman Catholic Church and advanced by the 20th Century hotbed of communism in South America. It was later adopted as “Liberation Theology,” combining it with the ideology of the Frankfurt School. The term Social Justice is loaded, but we are not the ones who loaded it. ‘Social justice,’ like ‘cultural Marxism,’ is a term used by far more people—friend and foe—than can actually define it in any coherent way, but, broadly speaking, it is used today to refer to perceived inequalities, be they matters of race, gender, sexuality etc. Again, Trueman appeals to nuance and nebulous definitions. But, those of us in the proletariat say, baloney. It’s easily definable. Joe Carter defined it at The Gospel Coalition blog (see above). Let me be clear: this is not only philosophical deconstructionism that is beneath any serious Christian scholar, but it’s also just plain sad. Trueman doesn’t want these terms defined so that we can’t call anybody a Marxist with any degree of certainty because, if we could, Tim Keller would most certainly be in that number. Trueman wants Keller to be Jello, and his critics to be the nail. Now, concern for these issues does not of itself render you a cultural Marxist—most sane people would say that they are opposed to racism, sexism and the like. They may disagree on the definitions of these things and what steps should be taken to address them, but having a social conscience in itself is neither a Marxist monopoly nor a distinctive of the left. The only way you can perceive helping the underprivileged as being “justice” and not “mercy” is if you also believe the underprivileged are underprivileged by virtue of injustice (as opposed to ignorance, laziness, divine providence, or misfortune). In other words, the entire concept of “Social Justice,” which assumes that the underprivileged are underprivileged because of systemic oppression, is Marxist ideology. While the Bible certainly indicates that some may be impoverished or downtrodden because of institutional or governmental injustice, the Social Justice Movement assumes that all are victims of injustice, thereby labeling every act of mercy as “social justice.” Trueman – like Horton and the folks at White Horse Inn who I know can articulate the Gospel – should be particularly concerned at the muddling of terms like mercy and justice. The implications for Gospel unclarity wrought by political ideology is all-too-real. To clarify, the assumption that all the underprivileged are victims is thoroughly Marxist ideology (do I need to repeat that a third time?). Our differences with the Social Justice Warriors (who all hold tacitly, although perhaps not purposefully) to Marxist thought is not definitional, as Trueman suggests. It is foundational. Foundationally, we do not believe mercy to be justice. We deny foundationally that the poor in the First World are poor because of any systemic injustice. We deny that illegal immigrants are entitled to Citizenship and that to have a border wall is somehow unjust. We deny that the hungry are entitled to food, even though we believe it’s Christlike to feed them. We deny that any one man is entitled to the goods, property or labor of another. We believe the same Moral Law that prohibits kidnapping and slavery also prohibits Marxism in all of its various forms on the grounds that one man is not entitled to the labor of another. That Trueman considers any of the above to be definitional and not foundational demonstrates he has no intellectual grasp of that which he writes. Is Tim Keller a Marxist in how he defines these things? While I have not had the pleasure of asking him personally, I have read statements by him that indicate he believes human beings are made in the image of God. Pardon me while I rip my own face off in frustration. First, ask him personally and then immediately discount it. Has Trueman any grasp of geopolitics from the mid-twentieth century? Marxism is a subversive ideology. Most deny it. Secondly, and let me be candid, Trueman’s defense of Keller against accusations of Marxism because Keller believes in the Imago Dei is the dumbest red herring I’ve read in a very long time. For crying out loud, what does one have to do with the other? Let me translate for Trueman (I am fluent in intelligentsia psycho-babble): Keller holds to a very elementary understanding of basic Christian theology on at least one point, therefore he can’t be a Marxist. Poppycock. Balderdash. That’s tripe. That argument is asinine. It is primitive. It’s stupid. That presumably grounds his ethics. It also places him outside of the Marxist camp, belief in God being somewhat problematic in that school of thought, as (incidentally) is his Christian belief that human beings have a nature which can be defined in metaphysical, rather than contingent, historical terms. Presumed is the right word. It is presumed wrongly. What Trueman matter-of-factly says here is that holding to a belief in the Imago Dei “places him outside the Marxist camp.” The foolishness here is frustratingly and agonizingly apparent. First, nowhere in the definition of Marxism (either mine or Trueman’s) is there indication that believing in the Imago Dei makes someone not a Marxist. This is why we define terms. But even with Trueman’s sub-par definition, his “ergo” is completely unfounded. Trueman goes from “A” to “B” without connecting any dots. This leap in logic could cross the Atlantic. Secondly, there is clear evidence that Marxism is rooted in atheism. This is why Communist regimes are always hostile to theism. It’s also why we facepalm ourselves when we see Christians lobby for religious liberty and Marxism (**cough cough** Russell Moore). However, Trueman’s claim that one cannot be both a Marxist and a Theist is logic that does not follow. What it means is that someone is inconsistent in the Marxism or inconsistent in their Christianity. It seems as though Trueman hasn’t even considered that someone can hold to mutually-contradictory ideologies. After all, Trueman should know if he did his homework, the type of Marxism held to by Keller was invented by Jesuits who most certainly are theists who believe in the Imago Dei. If he is not a Marxist, it does not take a postgraduate qualification in logic to deduce that he can scarcely be a cultural Marxist. Trueman’s intellectual snobbery here is cringeworthy. Listen…it “doesn’t take a postgraduate qualification in logic to deduce” that what Trueman just wrote is one of the most insanely idiotic things I have ever read. At no point in his rambling, incoherent response was he even close to anything that could be considered a rational thought. Everyone who has read it is now dumber for having read it. Through one jump in logic, “Keller believes in the Imago Dei and is a theist, therefore he can’t be a Cultural Marxist,” Trueman overlooks the reality that Cultural Marxism was invented by men who claimed to believe in the Imago Dei and were theists. Seriously. Is Trueman serious? Was he coherent when he wrote this? Even so, let’s indulge the critics and ask this question: Does Tim Keller’s view of the culture have parallels with the Gramscian tradition? Yes, it does in that he is a cultural transformationalist who believes that the world can be dramatically benefited by—schools, universities etc. So do the Acton Institute, Marvin Olasky and the team at World Magazine and numerous friends and colleagues in First Things circles. Here, Trueman basically has a bowel movement all over logic, smothering argumentum ad populum and argumentum ad verecundiam with a steaming pile of his own illogical subjectivity. I hardly think they would appreciate being given the label of cultural Marxists. First, we’ve already examined how wanting positive social change is inherently different philosophically and foundationally from Marxism. Secondly, and let me be frank, I don’t give a flaming penny what any of those people think about being labeled cultural Marxists. To want to change the culture is a desire of anyone who is dissatisfied with the status quo, not a necessary sign of commitment to dialectical materialism or a diabolical hatred of free markets. Clearly, but what’s been painstakingly documented by E.S. Williams, Tim Kauffman and others, is that Keller does indeed have a diabolical hatred of free markets. We’re not saying he’s a Marxist because he wants to change the culture. We’re saying he wants to change the culture because he’s a Marxist. We know because of his own words. And I am definitely not an optimistic transformationalist as he is—trust me, things are going to get worse before, well, they get even worse than that. But he is no cultural Marxist, and to call him such is to reveal not the politics of the good doctor but the ignorance of the troll. Enter Intelligentsia attack mode. Those who criticize Keller by actually addressing his own written words (something Trueman could not be bothered with in his article), is a “troll.” Implicitly, Trueman is calling Brother Ted Williams a “troll.” He is calling Tim Kauffman a “troll.” I dabble in trollery, but these men do not. These men have actually addressed Keller’s Marxist words and underlying Marxist ideology, unlike Trueman, who dismisses all intellectual pursuit of truth by the virtues of Keller’s theism. It is to indulge in the spirit of this age, which eschews thoughtful argument about difficult issues for moronic and often malicious soundbites. Correct me if I’m wrong, but Trueman is guilty of that which he complains. He offered no serious argument. He gave no thoughtful critique. He basically argued that Keller is a theist, ergo he’s not a Marxist. His argument is both moronic and malicious. It is not a helpful way of locating him in current debates in order to further the discussion, but rather a cheap way of pre-emptively delegitimizing him and his opinions. It is an unwarranted slur on his character, for we all know that cultural Marxism is not intended as a morally neutral term. And—I almost forgot—it is to break the Ninth Commandment about a Christian brother. And that’s a sin—not so much a sin against Tim Keller as against the God he serves. Here is the finger-waging, guilt-shaming for which the Evangelical Intelligentsia is best known. “How dare you, sir” is their apologetic. Trueman seeks to shame those who actually have dealt with Keller methodically and thoroughly and – of all things – accuse them of violating the Ninth Commandment. In doing so, Trueman commits a grave sin of making a false accusation against Keller critics. He has sinfully and undiscerningly dismissed their concerns, just as he dismissed Keller’s own words. That last paragraph from Trueman truly did add insult to injury. It may come as a surprise to his conservative evangelical readers that Tim Keller’s recent book, Every Good Endeavor: Connecting Your Work to God’s Work, is simply a recapitulation of Marx’s theory of alienation, and that Keller’s solution to the problem of alienation is indistinguishable from Marx’s. It will surprise his readers to know that Keller’s theory of wages is derived from Marxism. It will surprise his readers to know that when Keller recommends modern examples of churches that implement a Christian economic ideal, he identifies churches and organizations that are thoroughly Marxist, and are inspired by leftist Saul Alinsky, the author of Rules for Radicals. In this article, we will review Keller’s words and his sources to establish his economic theory. What we shall find is a consistent call for a transition from a capitalist economy to a socialist economy through class struggle based on Marxist principles—all cloaked in the language of Biblical Christianity. This emphasis in the Bible has led some, like Latin American theologian Gustavo Gutiérrez, to speak of God’s ‘preferential option for the poor’. At first glance this seems to be wrong, especially in light of passages in the Mosaic Law that warn against giving any preference to rich or poor. (Leviticus 19:15; Deuteronomy 1:16-17) Yet the Bible says that God is the defender of the poor; it never says he is the defender of the rich. Gutierrez is a Jesuit Priest and the founder of the Marxist Liberation Theology Movement. And Gutierrez is Keller’s muse. Similarly, again as Kauffman points out, Keller claims to have been heavily influenced by Reinhold Niebuhr, author of The Nature and Destiny of Man. Niebuhr argued that socialism and Marxism are intrinsically tied to a theistic – and even a Biblical – worldview. Keller embraces Niebuhr in his book, In Every Good Endeavor. Combine this with incessant social media posts from Keller that demand for the redistribution of wealth, and it’s safe to say that Keller’s positive affirmations of Marxism are undeniable. For more information and indisputable citations of Keller – in his own words – espousing the ideas of the Frankfurt School and credit it with his ideology – read this from The New Calvinists and this (thoroughly researched and cited, with 110 footnotes) from Tim Kauffman at The Trinity Foundation.